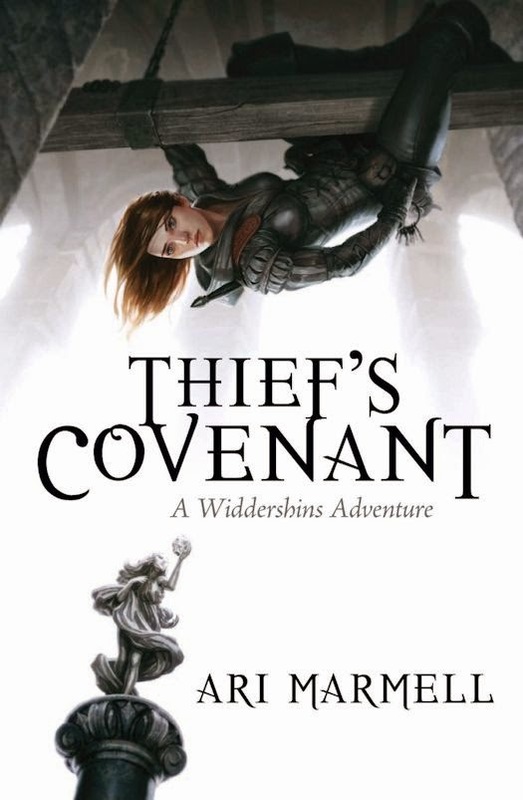 Today she is Widdershins, a thief making her way through Davillon's underbelly with a sharp blade, a sharper wit, and the mystical aid of Olgun, a foreign god with no other worshippers but Widdershins herself. It's not a great life, certainly nothing compared to the one she once had, but it's hers. But now, in the midst of Davillon's political turmoil, an array of hands are once again rising up against her, prepared to tear down all that she's built. The City Guard wants her in prison. Members of her own Guild want her dead. And something horrid, something dark, something ancient is reaching out for her, a past that refuses to let her go. 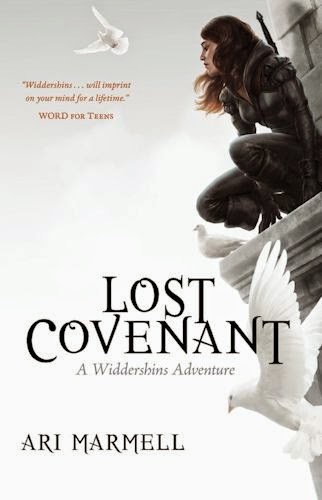 Widdershins and Olgun are going to find answers, and justice, for what happened to her—but only if those who almost destroyed her in those years gone by don't finish the job first. 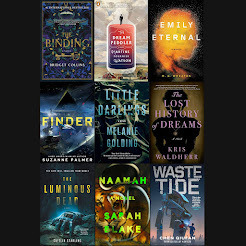 Ari Marmell opens with a bang, introducing a mystery at the beginning of his newest fantasy series. The setting is the city of Davillon, which could be swapped out with any European city set around the 17th Century. Widdershins or Adrienne, depending on the time frame of the book, is either an orphan, noble-in-training or a thief. Shins, as she's known by the few friends she has, is a loner who attracts several different friends in her life, depending on the time frame of the story. She comes across as a rough and tough thief, but has a heart of gold. She's a fun character to spend time with, but I never felt connected to her. I also felt that most of the supporting characters were not fleshed out as well as they could have been. That being said, I still enjoyed my journey with Shins for pure entertainment value. I really enjoyed the fact that the thieves guild was a major part of the story as I always seeing how an author creates a guild's leadership structure and headquarters. Plus, I always enjoy a good rogue's tale. Olgun, an almost forgotten god, spends all his time focused on Shins, who is the last person to count herself as a believer. 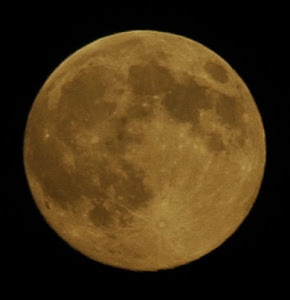 Olgun aids her by performing simple acts of 'magic' that end up being little more than giving her a little extra luck. There's no other real magic used in the story other than the magic from gods. One of the most interesting questions posed in the book is 'what happens to a god when there is no one left to believe in him any longer?' I wished the author would have spent a little more time exploring this idea, but there's a chance he does in the other books of the series. Marmell did a great job of pacing his story with plenty of action with moments of humor. The only thing that worked against his pacing was the structure of the story. Marmell bounced back and forth between the past, further past and the present. It got a little excessive and I was unable to see any real need for it. It didn't add to the story or create any tension or add to the climax of the story. 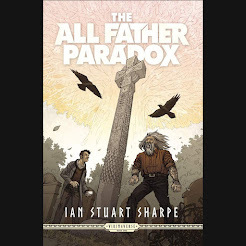 I would have enjoyed a clean chronological progression of the story much more, especially with all the identity changes the main character takes throughout the story. 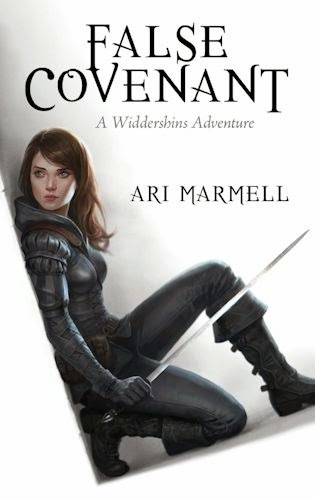 Thief's Covenant is a fun quick read for anyone who enjoys spending some time with a bunch of rogues. Even with the few issues I had with the book, I would really enjoy reading the other books in the series. Marmell's ending was rewarding while still leaving plenty of open questions to be explored in future books. There are acts of violence and minor language, but I wouldn't hesitate to recommended it to teens and adults. 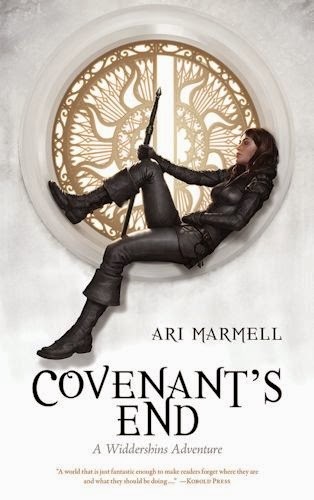 If you like a fast-pasted rogue's tale you'll enjoy Thief's Covenant.